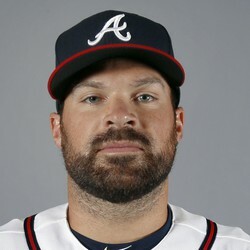 The Braves re-signed Josh Collmenter today to a 1-year contract for $1.2M with additional incentives of another $1.2M. This was done in an effort to avoid arbitration. Collmenter will compete for a back-of-rotation starter or help the team as a reliever, as he has experience in either role. The Braves got Collmenter from the Cubs in September for cash when they needed help with some starts and he did a commendable job, offering a 2.37 ERA over three starts in which he posted a record of 2-0. If he does well in the spring he may be worth a look in deeper formats as a back-end starter.